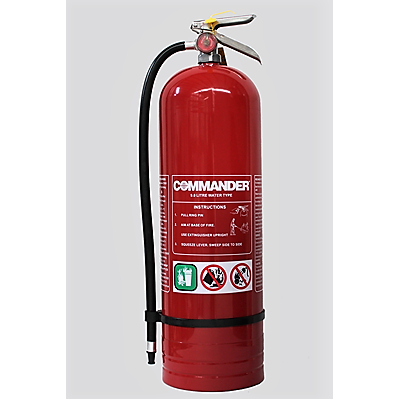 Our 9kg Water Fire Extinguisher (Water Portable Fire Extinguisher) is ideal to protect your valuable assets from Class A fire risks. This includes materials such as timber, paper, textiles and furnishings.The 9 litre water fire extinguisher is extremely safe and ideal for use in construction sites, schools, retail shops and workshops. It comes supplied with a flexible rubber hose, and wall bracket for easy installation.